A view taken from the Federal signal tower behind Ft. Fisher showing the Confederate lines. Men of Scales’s brigade awoke from their winter huts each morning within view of this protruding object. Hundreds of log and mud dwellings sprouted across the front lines before the Confederate stronghold of Petersburg, Va. Returning to his camp after recovering from a year-long illness, Capt. George Mills discovered his regiment immediately erecting cabins for winter quarters. 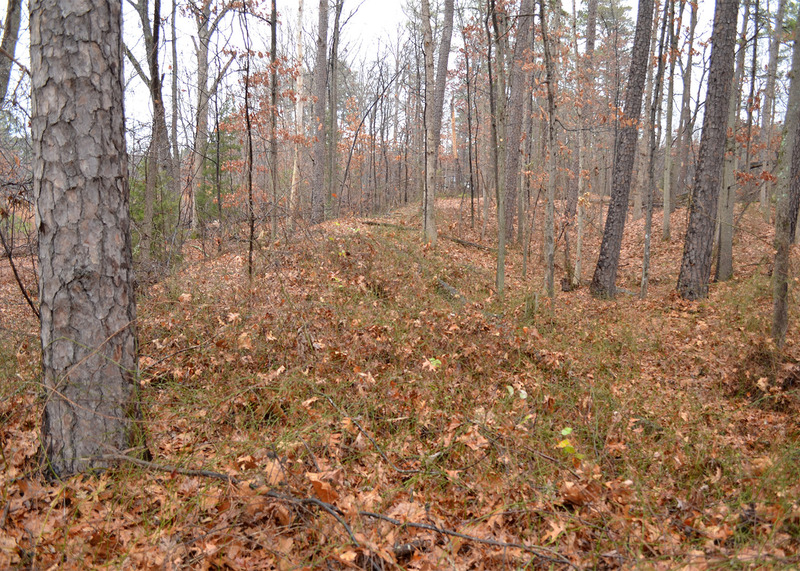 Some domiciles were not as eye-pleasing as others, one Reb in Wilcox’s division carelessly stacked logs, then threw a pile of dirt on it and looked “shaped like a potato hill”. “I don’t think there is much chance of our fighting any more this campaign,” surmised one North Carolina officer in early December. “For the winter seems to have set in in good earnest.” Most occupants were just glad to settle-in for the predictable months of dormancy. Entering his thirty-seventh year that fall, the lawyer-politician had performed well, advancing his career from private of the 13th North Carolina to its commander five-months later. A painful wound received at Chancellorsville would force his absence in March 1865. Many weary soldiers of the Confederate forces had endured demoralizing, horrific losses just months earlier. A brigade of North Carolinians led by Maj. Gen. Alfred Scales was among them. Hundreds of his men had fallen in bloody fights, like at the Wilderness and North Anna. Gen. Scales’s staff attempted to replenish the ranks, but often found unreliable conscripts of 40-45 years of age. 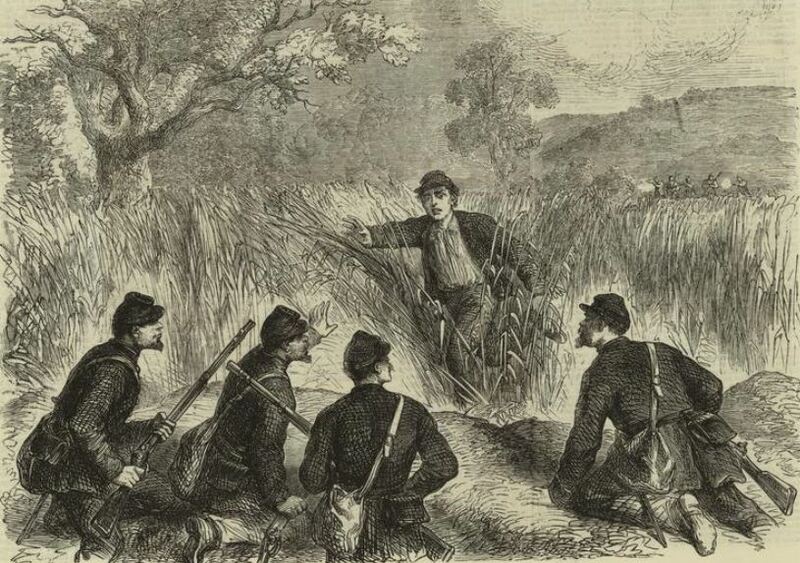 These recruits, said Lt. Thomas Lattimore of the 34th North Carolina Regiment, “made poor soldiers, and fell far short of filing the places of those would had been killed or disabled.” Devastating casualties, ineffectual replacements, and other problems made Scales’s brigade less dependable for waging war. Nonetheless, work details were posted every day, pickets were regularly established, and all available hands were involved in regular operations throughout the winter. Constant maintenance was needed to upkeep the protective fortifications. From their mid-size protectorate christened Fort Lee, the Tar Heels continued to assess the surrounding area as they expanded. Atop a distant hill they observed a dominating position situated near an abandoned house once owned by a Dr. Duval. The physician had left, but if the enemy occupied it with a hilltop battery or sharpshooters, that part of the line would be greatly harassed. Thus, the North Carolina brigade was tasked with the job of digging a counter-mine between Batteries No. 39 and 45. On September 15, a gallery was sunk ten feet below the ground and then extended 323 yards southward, ending with a chambers for a powder charge. Deserters from the brigade reported to Federals of the Sixth Corps that the shaft had been completed by November 20. Modern-day view south of Rohoic Creek where Scales’s brigade fortified. 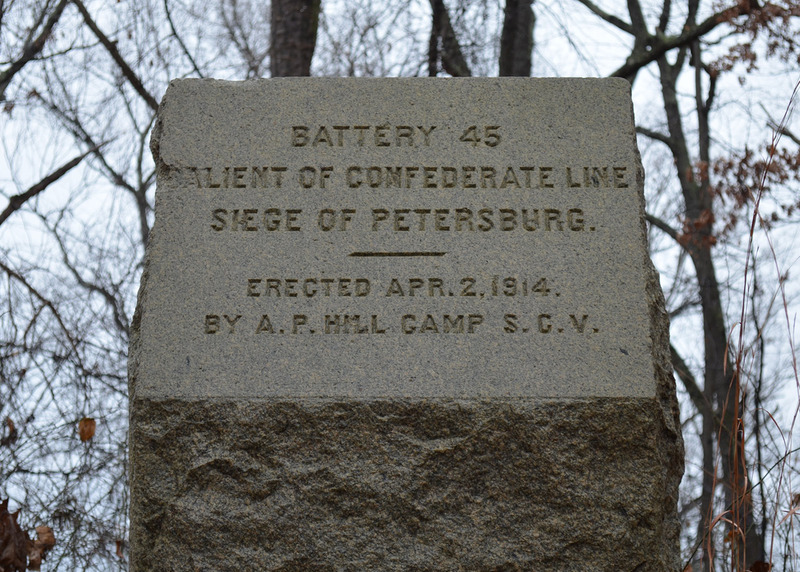 The Sons of Confederate Veterans erected this stone marker fifty-years after soldiers first occupied the works. 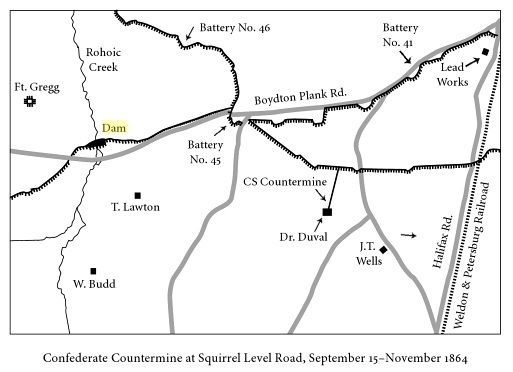 Under the instruction of the Confederate engineers, Scales’s men also constructed a dam on Rohoic Creek that ran through their lines. 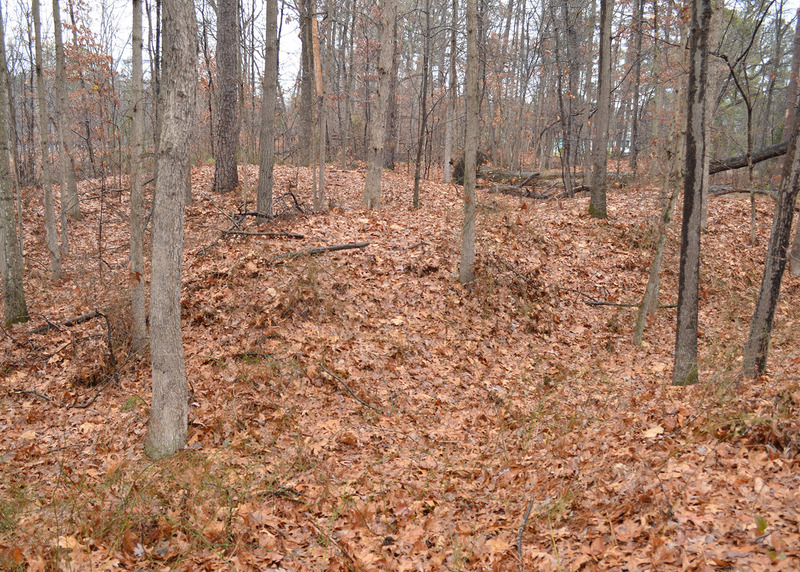 The obstacle was needed to fill the gap where breastworks couldn’t hold and only a handful of men were needed to defend it. 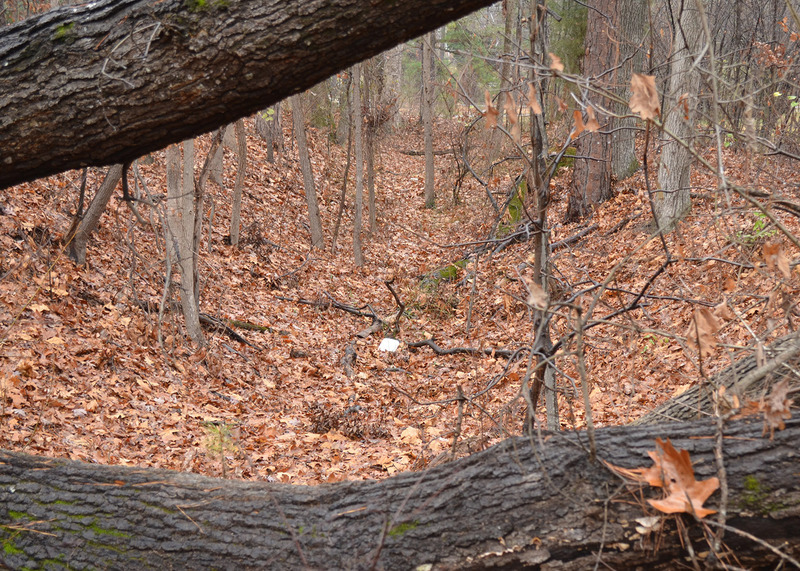 A large basin was dug that stretched half a mile wide and 30 feet deep. Unbearable weather in the first two weeks of December flooded the pond as was predicted. But then a hard rain lashed-out and erased all the North Carolinians labor and nearly clogged the Appomattox River. “All our hard work went for nothing,” Mills despondently recalled. Longing for the prospect of home, 23-year old Alfred Proffitt dreamed about reuniting with his sister and friends in Wilkes County, N.C. Some of the men recalled other daily hardships. “We don’t get a nuff to eat out here,” Virgil Cavin wrote plainly from the camp of the 38th North Carolina Regiment. “We only draw one pint of corn meal a day and a quarter pound of meat.” Decades later, another company officer reminisced, “This was a winter of intense suffering among the soldiers. Almost destitute of provisions and clothing, many of them deserted and crossed the line to the enemy.” But despite the complaints, brigade reports from the Adjutant and Inspector General indicate that Scales’s men were of generally “good” appearance and health. Harsh winter conditions had led to normal decline in December (particularly evident in their “poor” clothing) but they managed to meet all military expectations. Men of the 18th North Carolina Regiment (Lane’s brigade) fared better, as one man drew “a full suit of clothing” with the hope of having an overcoat from home mailed that November. If anything, almost a quarter of Scales’s men required new leather accoutrements. Drs. William Holt and John McAden believed that the most immediate danger was not Yankee bullets but food itself, calling the issued [corn] meal “very unhealthy”. Spoiled food was a dilemma commissary officials had forewarned about months prior, but that did not mean Confederate provisions were unavailable. 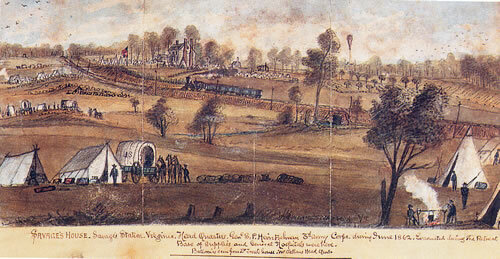 In fact, Lt. Col. Joseph Webb honestly observed, “Tis true, the rations we get are sometimes not such as a man with a good appetite could wish for, [but] we make out with them, and never really suffer for food.” The simple fact is that despite fluctuations in army distribution, supplies were still being transported on Petersburg-Weldon Railroad throughout the entire campaign: the primary cause for which both armies lay stalemated. Growling stomachs still remained the chief cause of desertion. 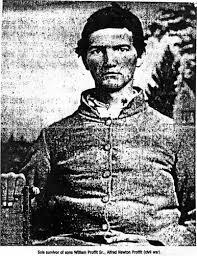 In a letter written to his parents in Alexander County, N.C., 21-year old Virgil Cavin renounced the Confederacy for the prospect of getting home. “I can’t stay here and live on the rations we get,” he pleaded. “I don’t know what to do, I want to come home if I can get there and could stay there.” The fair-skinned, black-haired private waged on despite his misgivings, likely discouraged by the consequences. Lane’s (N.C.) brigade had regularly enforced that punishment, publicly executing 21 offenders over the past two years and delving-out other humiliating reprimands. A decade later, Capt. 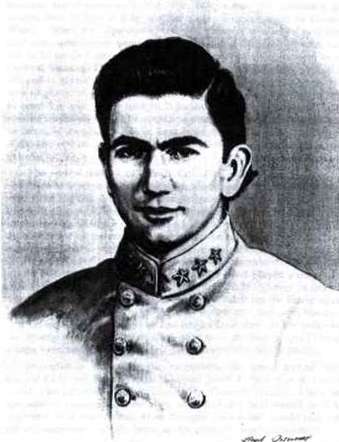 John Young commanding Scales’s brigade of sharpshooters, remembered those incidents as being “well-calculated to strike terror to the hearts of those who contemplated the commission of this gravest of all military offenses.” Despite the variety of reasons to abandon the Confederate army, most chose to remain with the explicit knowledge of consequence and a sense of continued duty. Indeed, morale lifted throughout A.P. Hill’s corps and entertainment was abundant: thespian recitals of Milton and Shakespeare, attempted revivals by preachers from Raleigh, classes to help hundreds of illiterate men eager to learn, drill competitions presided by major-generals, concerts given by regimental bands and glee clubs, additional furloughs granted to Petersburg or Richmond, lady-visitors with meager but heartfelt offerings, and even a memorable visit by the eccentric Prof. R.O. Davidson, possessor of supposed plans for an aeronautical drone. Yankee papers also issued a challenge to the Southern people for an unthinkable feat. “It was soon suggested that our army have a Christmas dinner, and the people of the South were requested to furnish it,” Capt. George Mills wrote in disbelief. “A paper was sent to the company officers asking their opinions on the matter.” Mills voted no, reasoning that if there was even anything to spare, it should be enjoyed by their countrymen. He was outvoted and two weeks later Company G men gazed upon a scant meal of “drumstick of a turkey, one rib of mutton, one slice of roast beef, two biscuits, and a slice of light bread.” “So our Christmas dinner was a failure, as I feared it would be,” Mills glumly predicted. Despite the outcome of the disastrous Christmas meal, activities held during the winter months show the general pleasantry soldiers found themselves in even amid the impending war. Our conception about what the Confederate soldier endured in the last year of the Civil War is often devised from the problems individuals faced under imperfect conditions. No man ever saw consistent standards while serving in the Army of Northern Virginia, especially compared to his Federal counterpart. From the exceptional narratives written by Scales’s brigade of North Carolinians, we can understand that they were passing the winter months of 1864-65 as intended, recovering to standards even better than had existed before major campaigns. The quiet period reinvigorated a “culture of invincibility,” as historian Jason Phillips termed, that continued to fuel the Confederate resolve to end the war in victory. A. Wilson Greene, The Final Battles of the Petersburg Campaign: Breaking the Backbone of the Rebellion, 2nd ed. (Knoxville: The University of Tennessee Press, 2008), 69. Histories of the Several Regiments and Battalions from North Carolina in the Great War, 587. Earl J. Hess, In the Trenches at Petersburg: Field Fortifications and Confederate Defeat (Chapel Hill: The University of North Carolina Press, 2009), 154. George H. Mills, History of the 16th North Carolina Regiment in the Civil War (New York, New York : Edmonston Pub., 1992), 59-60. Histories of the Several Regiments and Battalions from North Carolina in the Great War, 1861-65, 589. Mary Alice Hancock, Four Brothers in Gray (Wilkesboro: Wilkes Community College, 1975), 71. John D. Young, “Annals of the War,” Weekly Times (Philadelphia), January 26, 1878. Christopher J. Olsen, “Diehard Rebels: The Confederate Culture of Invincibility (review),” The Journal of Military History 72.4 (2008): 1301-1302, Project MUSE, revised January 24, 2013, accessed January 6, 2015, http://muse.jhu.edu/journals/jmh/summary/v072/72.4.olsen.html. Having largely missed the action of the Seven Days, Color Sgt. George Daniel Buswell found himself clinging tightly to the regimental flag at Malvern Hill. His regiment, the 33rd Virginia Infantry, had been part of the famed “Stonewall Brigade” under Maj. Gen. Thomas J. Jackson’s command. These men had been integral to R.E. Lee’s order on June 17th, racing back to the Confederate capital for an attack on the Union army’s rear. But the regiment did not arrive as planned. They reached Gaines’ Mill ten days later, only to become delayed and disorganized. In fact, the entire brigade had become disjointed after crossing a swamp there. But the Confederates continued to pursue McClellan’s withdrawing army, moving southward and rebuilding bridges along the way. “The sun shone excessively hot today, and no water could be found fit to drink,” Sgt. Buswell recorded on June 29th. Two days later, he and his regiment finally caught up to the Federals at Malvern Hill. One of six children, George Buswell was the eldest son of Thomas and Rebecca Spitler. His father had once served as a major-general in the Virginia militia and was a politician in the State Senate. Raised in Page County, Va., George enlisted in Company H in 1862. Moved about 6 or 7 am, passed 2 or 3 Yankee hospitals and a great many Yankee prisoners, wagons, &c. Our brigade, now commanded by Col. [William S. H.] Baylor of the 5th Va., was ordered to the front. 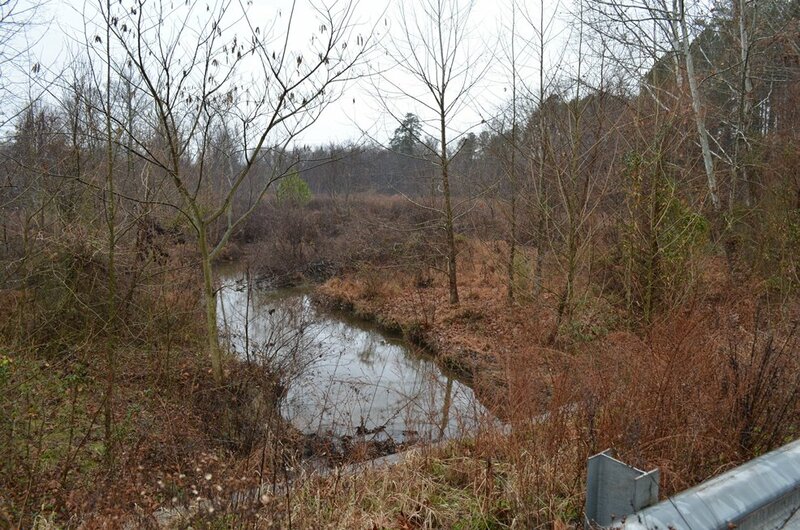 We waded 2 small streams, climbed a fence and became engaged about 8 p.m.
Col. John F. Neff, ca 1862. A graduate of Virginia Military Institute and later commander of the 33rd Virginia Infantry. He was killed at the battle of Second Manassas a month later. Now, with the brigade ordered to the front, he faced the thunder of cannon pounding away at their men. “They enemy gave us the most terrific fire I have ever seen,” wrote their brigade commander, Brig. Gen. Charles Winder, “A continuous stream of shot, shell and balls for two hours.” Fire from the Federal batteries hit thirty-three men of the regiment involved in the action. Under the supervision of Col. John F. Neff and Maj. F.W.M. Holliday, the 33rd Virginia was held in reserve until they were later brought forward with battle ending in darkness. Winder noticed that their officers “particularly attracted my attention by their coolness and untiring efforts to keep the men in position. Their escape from injury is truly providential.” However, Neff reported that he was struck twice by spent balls (although unharmed) and regiment suffered 25% casualties by its end. About the first round I received a flesh wound in the right arm, near the wrist. I then handed the colors to Benj. E. Coffman, & went off the field under a very heavy shelling; the Yankees using the guns on their gunboats. I stopped at a hospital about 1 1/3 miles from the battlefield & had a Yankee prisoner to dress my wound. Capt. Michael Shuler recorded in his diary that the company losses were one killed and five wounded. The following day was spent burying their dead and caring for the wounded, including Buswell. He and fellow color-bearer Benjamin Coffman, accompanied by wounded comrades David Hite and Jessie Riley, started off for Savage Station that afternoon. Reaching there by dark, they boarded cars along the Richmond and York River Railroad and reached Richmond at midnight. “Arm pained me very much,” recalled Buswell upon their arrival. Utterly exhausted, he slept that night on the floorboards of the depot. Savage’s Station on the Richmond and York River Railroad was the headquarters of Union Third corps in June 1862. I went to a hospital & found Ambrose Rothgeb, who, alas!, had lost his left hand in the fight of Monday. Hunted for Daniel Brubaker, who had lost his right eye, but could not find him. Returning sometime later, Buswell would continue to serve with the unit. Pickets were posted after the action Malvern Hill, but the 33rd Virginia was pulled back to Richmond in mid-July. They played no further role in the Seven Days Campaign. Harland R. Jessup, The Painful News I Have to Write: Letters and Diaries of Four Hite Brothers of Page County in the Service of the Confederacy (Baltimore: Butternut and Blue, 1998), 4. Bryan K. Burton, Extraordinary Circumstances: The Seven Days Battles (Bloomington: Indiana University Press, 2001), 354. “Complete Diary of Captain Michael Shuler, Page Grays, Co. H, 33rd Va. Inf.,”Geocities, accessed July 7, 2013, http://www.geocities.ws/cenantuaheight/mshulerdiary.html. Reported killed: James H. Alger; wounded: George D. Buswell (in arm), David C. Hite (wrist), Benjamin F. Coffman (side), Jesse W. Riley (hand), and Willis Cubbage (hand). Likely the receiving and distributing hospital, General Hospital No. 9. Neither men were members of the 33rd Regiment, but a number of individuals of the same last name were. Lowell Reidenbaugh, 33rd Virginia Infantry (Lynchburg: H. E. Howard, Inc., 1987), 37-38. George D. Buswell Diary, July 1 – 3, 1862, in Book 31, RNBP, 10-11.